Hong Kong has a nice skyline, but this is the view away from HK towards Kowloon. During China’s National Holiday (国庆节） Adrianna and I took a short trip to Hong Kong, which translates directly to “Fragrant Bay.” It’s a city with a strange name, a unique history, and an interesting culture. We did a lot of things, saw a lot of sights, and only barely scratched the surface of what Hong Kong has to offer. 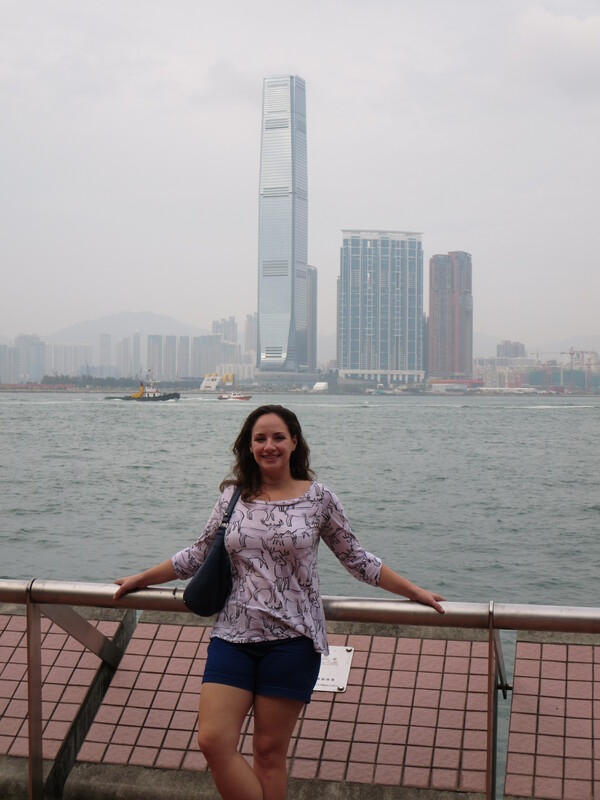 Over the course of this week, Adrianna and I will put up a few Hong Kong posts before we move on to our other trip last week, to Guangzhou (广州), formerly known as Canton. 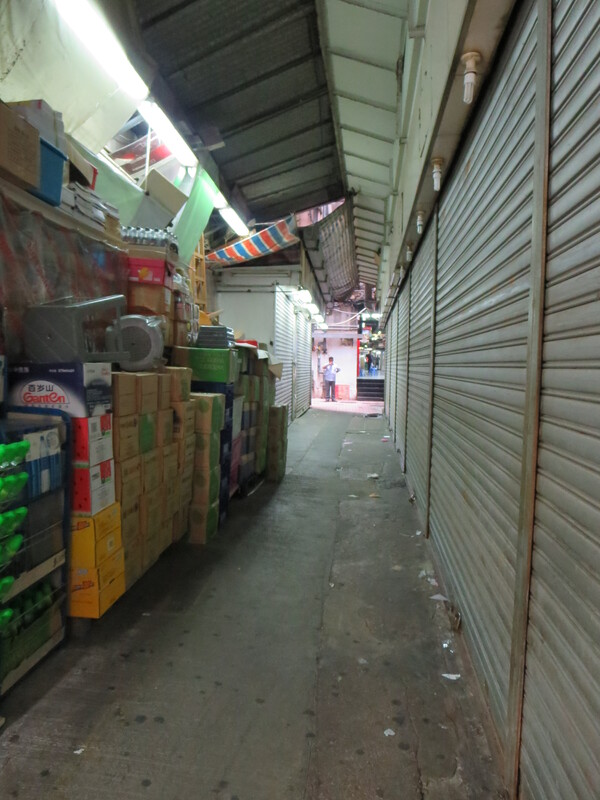 In this post, I’m going to focus on how easy it was to get around and spend the night in HK. I was most struck by the ease with which one can visit Hong Kong. 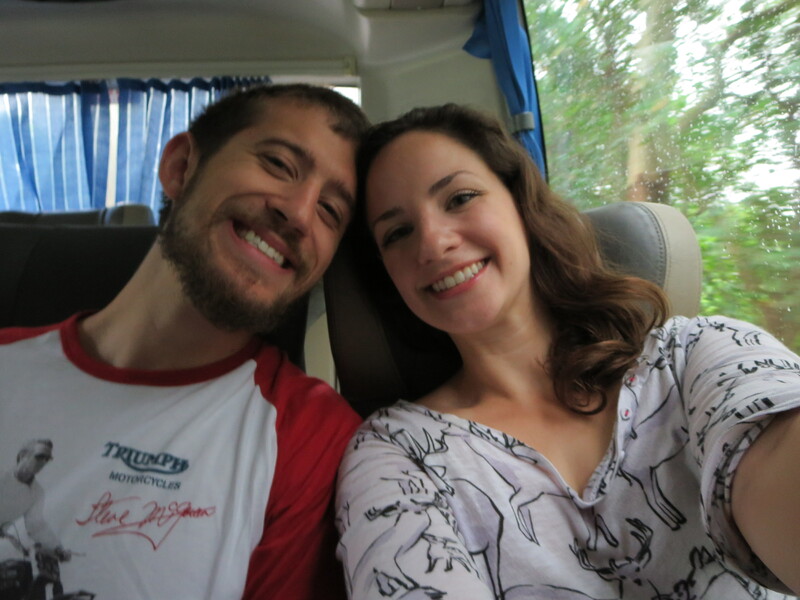 This trip was especially easy for us, since we have a border crossing within a twenty minute bus ride from our home. Our border crossing (one of several in Shenzhen) had next to no line, and in five minutes we had bought a bus ticket for the ride through the New Territories and into the outer edges of the city. We got off our bus, and followed some Chinese people to the nearest metro/bus station, where we faced our first challenge: buying a bus card and navigating a new metro. Calling it a challenge might be something of an overstatement. We went up to the service window, and I began to speak broken Chinese to the teller, who promptly replied in English that, before we could buy anything, we had to go to one of the several conveniently placed money changers and swap our RMB （Chinese Yuan, 6.15 RMB=1 USD) for HKD (Hong Kong Dollars, 7.5 HKD=1 USD). This preliminary task complete, we bought our subway cards and set off into the Hong Kong metro. The Hong Kong metro is a wonder. Signs are in both English and Chinese, and in a truly amazing bonus, include a list of popular tourist attractions at each metro stop. I did very little planning before we went to Hong Kong, and within an hour of my arrival I was able to formulate a rough outline for the next 24 hours. 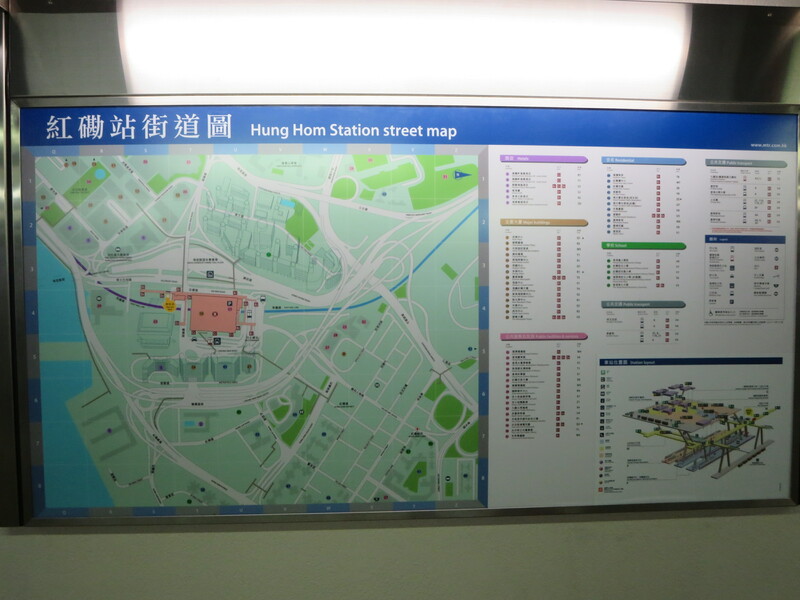 I may not be an expert when it comes to subways, but Hong Kong’s was quick, clean, and immaculately conceived. Seriously, this isn’t even a great stop, there is just a lot of stuff to do in HK! The “tour guides” didn’t stop when you left the metro. All over Hong Kong the lucky tourist will find convenient little signposts pointing you towards the nearest subway station, historical monument, or traditional neighborhood. Will you do a lot of walking in Hong Kong? Probably, unless you want to shell out some dollars (yeah, HKD are called plain old dollars, something that was nice to hear) for cab rides. Hong Kong is known as a multicultural city, and though it certainly is the most diverse city I’ve ever seen, their are two languages spoken most often: Mandarin and English. Nearly everyone speaks English, making this city a breeze for the hapless backpacker or high-powered executive alike. Of course, all the English speaking has it’s downside – the guys who badger you to rent a hotel room, buy their goods, or get a custom suit tailored, are a lot harder to ignore when they are shouting at you in lingo you understand. Of course, it’s not all bad. We spent the night at a hostel in the Chungking Mansions complex. Entering the building was crazy because, right at the door, there were about 10 Indian men who really wanted us to rent rooms in their hostel. As we moved further into the building, this tapered off, but every elevator (there were about 8) had at least one enterprising Indian man, intent on selling us a room for the night. We ended up staying in a random hostel on the 10th floor, spending about $35 USD (250 HKD) for the night with no reservation and no notice. It was great, easy, and when we go back, we’ll probably spend even less (think 100 HKD-15 bucks!). The first floor of the Chungking Mansions complex leaves a little to be desired aesthetically. This is where I’m going to cut off and let Adrianna talk to you about some of the things we did in the Fragrant Bay. It’s been a busy week, and though we’re back to work, we won’t forget to share more of our adventures (like we did during the National Holiday).